The recording for this book is fantastic, and the story is quite compelling, though much more focused in scope than the Three body series. 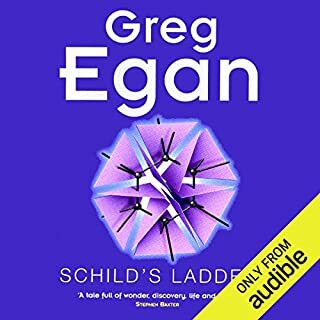 For fans of the other books, it's an easy recommendation, and it prompted me to re-visit the series via audible. 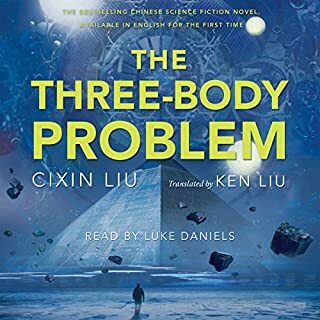 The three body problem kicks off my favorite sci-fi series of all time, though the pacing does struggle in places compared to the other books. All in all it's a hearty recommendation, though this performance is also the weakest of the 3 books in the series, with certain characters being given unfitting personalities. 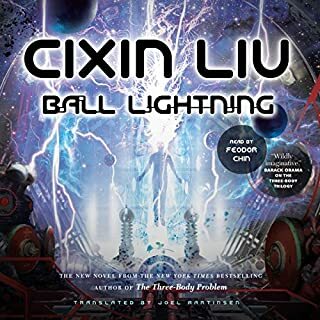 Wang Miao, the protagonist, is made out to be whinney in the recording, which is quite a far cry from the character I remember when reading the book. Shi Qiang - "Da Shi" - Sounds like an angry meat heat, which also goes against his character, and the one presented in the subsequent book. One of my favorite Egan books. Narration is dry, but also on point, much better than Adam Epstein, who does Egan's other books. The story starts strong, but then dives into slowness for a good 30% of the story. It emerges strong as ever though. Definitely one of Egan's most thought provoking stories, brought to life by skilled narration.